Originally published, 1920. I read a Bantam Books paperback, printed around 1976 (cost $1.75 at that time!). 182 pgs. Guardian 1,000 novels. Crime Titles. Other books I’ve read by Christie: And Then There Were None, The Murder of Roger Ackroyd. 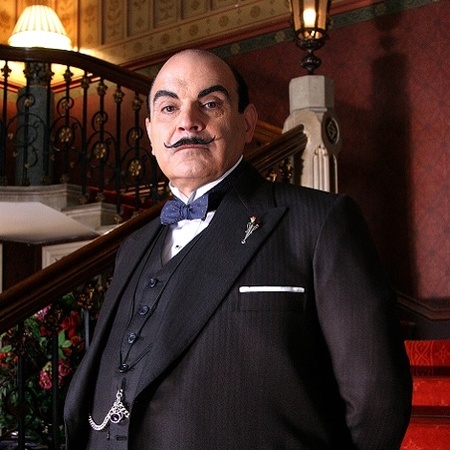 It’s hard to imagine a world without Hercule Poirot, especially now that I feel I know him a little better. His rationality, little gray cells, and famous “method” all provide a feeling of safety in the face of the most convoluted, red-herring-ed murder tale. 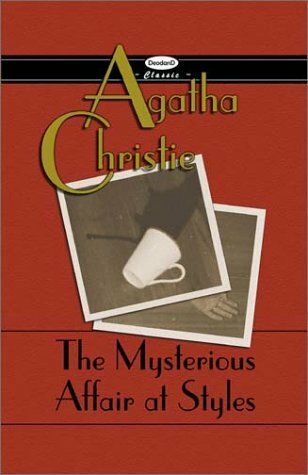 But Poirot had to be born sometime, and it was in this short novel that Christie introduced him to the world. It was also Christie’s first published novel. She wrote it during WWI, while volunteering in a hospital pharmacy. The novel was supposedly written as the result of a bet to see if she could compose a mystery where the reader would be unable to spot the murderer. It took Christie five years to find a publisher, and proved to be one of her greatest triumphs; it has never been out of print since 1920. The novel is set in a great country house, Styles Court, inhabited by the wealthy Cavendish family, their guests and servants. The domineering, widowed matriarch, Emily, has recently married a much younger man who is beneath her social class. The misalliance has created a rift in the Cavendish family, many of whom fear the loss of their inheritances. Then, Emily is poisoned with strychnine — either in her coffee, her evening cocoa, or perhaps in her bedtime tonic. It’s all incredibly complicated, with dozens of clues, everyone a possible suspect, several medical men with conflicting ideas, lawyers and Scotland Yard on board. “I was hardly as clear as I could wish. I repeated myself several times, and occasionally had to go back to some detail that I had forgotten. Poirot smiled kindly on me. I have to confess that at times I appreciated, rather than enjoyed, The Mysterious Affair at Styles. I found many of the characters thinly drawn, almost chess pieces moved around on a huge board by a master hand. Or sometimes I felt like I was inside a puzzle square — the kind you try to move tiles around in a particular order, but are thwarted because you can only move them in particular directions. If Miss Cavendish was in the library with the cocoa cup at 9:30 then she couldn’t have been the person to burn the incriminating letter in the billiard room at that time, and so forth. But the characters of Poirot and Hastings are endearing and real. Poirot is the meticulous detector of truth and lies and Hastings is us, stumbling behind and trying to understand what is going on. I wonder if Christie came up with these characters and formula in response to the Great War. Did she feel a need to bring order and meaning to the destruction of a genteel, ordered way of life enjoyed by the English upper class before WWI? For Poirot soothes the confused, horrified Hastings who represents that class and is reeling from a horrific crime — not necessarily the death of Emily Cavendish-Inglethrop — but a much larger horror. And no, I wasn’t able to spot the murderer. Of course we have to leave that to Poirot.